Area businesses celebrated the nearly $2 million raised through United Way of Northwest Louisiana for local nonprofit programming Thursday night. 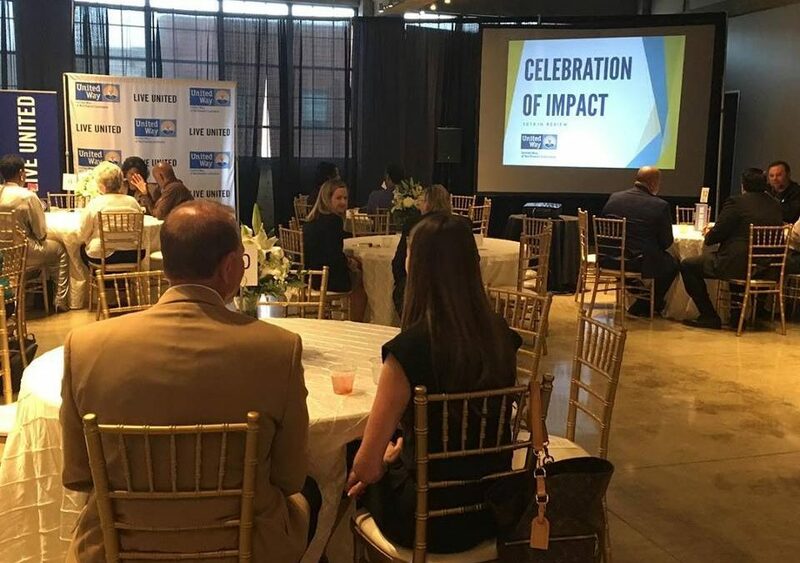 The event held at 601 Spring St. highlighted the philanthropic involvement by local companies and the impact it has made on the northwest Louisiana community. During the Celebration of Impact, United Way NWLA presented campaign results from the previous fundraising season. The dollars raised will be allocated to nonprofit programs in their ten parish region that are focused on helping ALICE, the Asset Limited Income Constrained Employed citizens – a comprehensive statewide report of financial hardship. United Way NWLA also discussed plans for 2019 to positively affect change in the areas of education, financial stability, health and essential needs for Northwest Louisiana. The distinguished Clyde Fant Award was presented to Jean Sayres, a community philanthropist who is widely known as the co-founder of Providence House. The Clyde Fant Award has been awarded to community philanthropists since 1949. Former recipients include Virginia K. Shehee, 1975; Maxine Sarpy, 2008; and O. Delton Harrison, 2016. The 2019 Live United award recipient is Red River Credit Union. The credit union is honored for their philanthropic spirit, advocacy, volunteerism, fundraising and for being a consistent top producer for the Bank On NWLA initiative under the United Way NWLA financial stability focus area. The 200 guests at this events made a strong impact as they assembled hygiene kits for resident children at Providence House. Supplies included items such as a toothbrush set, soap, deodorant, hair brush, wash cloths and more. The kits also included handwritten notes of encouragement from attendees. During the past grant cycle year, United Way NWLA funded 58 nonprofit programs, 11 of which are operated in-house including 2-1-1, Dolly Parton’s Imagination Library, Bank On NWLA and FamilyWize. The announcement for the allocation of the new dollars raised will be held in June.